How’s summer treating you so far? Are you going on vacation anywhere or maybe you’re already back? Was there a boat involved? For me, it’s not summer until I set foot on a boat at least once. If you’ve been following the blog, you know that my family and I went on a canal cruise in the south of France back in May, so mission accomplished. A nice breeze, being surrounded by friends and family, and the best views around equal paradise. But boating isn’t always so easy breezy. This post is a collaborative effort between my dad and me. He’s been a fisherman and an avid boater his whole life and then was a professional captain for 12 years in the New York harbor. So basically, he knows his stuff and was a natural on the canal even though it was his first experience canal cruising in France. The best way to learn is by doing, but it’s still a good idea to educate yourself on canal trips in France before piloting a vessel. We’ve put together some boating tips (that especially apply to canal boating) that all novices can benefit from. 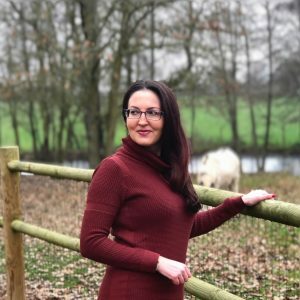 So if you rent a canal boat in France with Nicols like we did or set out on a different type of trip, I hope you find these canal boat France tips helpful! 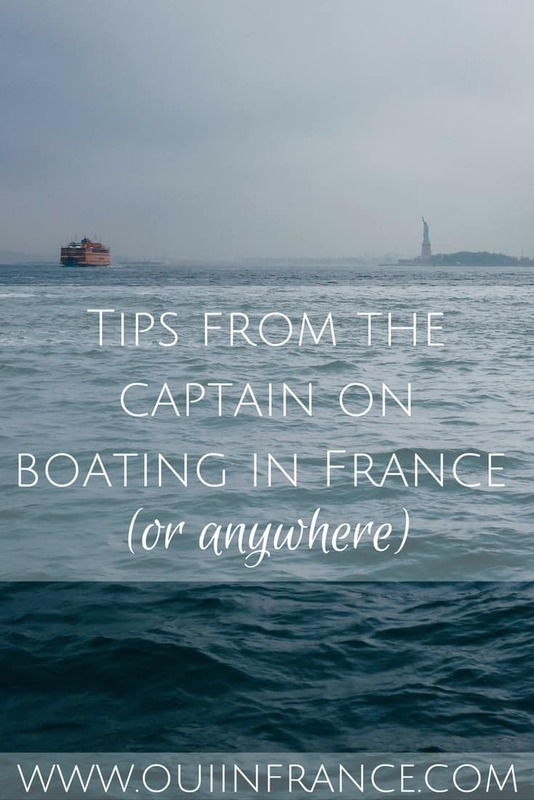 Unless you’re on a boat that has its own crew, your friends and family are likely going to be your crew for boating holidays in France and you’ll depend on each other while out on the water. Keep in mind that everyone has varying levels of experience boating. Therefore, it is the captain’s obligation to educate and brief those aboard on safety and docking procedures, line handling, etc. 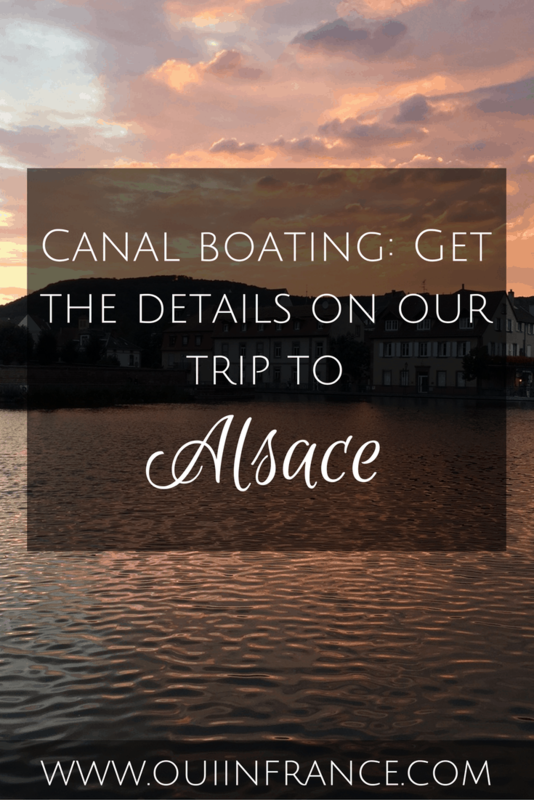 On our recent canal trip, we were fortunate that the members of our crew had been on a previous canal cruise in Alsace the year before so they were familiar with the locks and how they operated. We also had lock operators on these canals so they were not something we had deal with other than getting the boat into and out of the lock. Diane and Tom were experts on how to efficiently pass through a lock and Diane’s dad was an expert at all things boating, so we leaned on each other’s strengths. Whether you’re an experienced captain or a casual boater, it’s best to communicate beforehand and make sure everyone’s on the same page when it comes to docking, navigating, etc. Canal cruising in France is a learning experience so those who are more knowledgeable should speak up and help everyone on board. In life, people sometimes think that the rules are for everyone else or that they were meant to be broken. Not in boating! Always, always follow the rules of the road given to you by the boating rental companies like Nicols and Le Boat France as well as the local waterway authorities. Speeds are capped for a reason and passing buoys properly as well as other vessels is important. Being blissfully unaware is no excuse, so if anything about the boat or the route is unclear, find out before you get behind the wheel. Even if you’re experienced, canals don’t follow the same rules as open water. 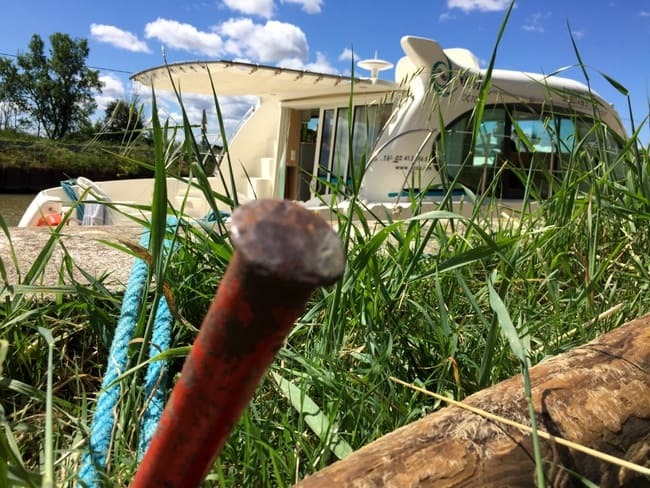 For barge holidays in France or canal boat hire, familiarize yourself with the rules before leaving the dock. There’s no harm in asking questions! In my experience, operating a boat at high speed is a recipe for disaster. Hitting a submerged object even at 5 mph can do a lot of damage to both people and the boat. Since we were operating in a narrow body of water, my first instinct was to do everything at a slow speed. This was especially true when rounding bends in the canal, passing other boats, nearing intersections, and when approaching bridges and locks. While speed in the canal is regulated at about 6 mph, even that speed is too fast when conditions warrant a slowdown. Docking is another area that requires slow speed. It doesn’t matter if it takes you 10 minutes longer to dock in front of an audience if that’s what it takes to dock your boat safely. A bruised ego will recover but if you take out a chunk of the dock with the stern of your boat, there’s a lot more at stake than a bruised ego. It was interesting to watch various folks dock their boats. Many obviously lacked experience but what I noticed is that most were misjudging their speed when they attempted to dock. Many thought they were driving a car and were surprised that the boat didn’t turn the way a car does. Remember, there are no brake pedals to stop a boat, so knowing when to reverse the engine is important. Also, in several cases, it seemed that no allowance was made for the wind or current that might have been present. Let the wind and current help you in the docking process and have your crew ready and positioned with lines or boat hooks to push off other boats or snag a line on the dock. A look at the chart or map of the area before departing each day is a good idea. Familiarize yourself with where you want to stop during the day. Pay particular attention to the mooring areas that are available especially those where you will want to stay for the night. Call ahead if it is a popular town or city to reserve a slip or mooring. We had to skip Sète because the bridge timing didn’t work out with our overall plan for the trip, so if a certain stop is a must-see, call ahead! Remember that a boat is limited in the amount of electricity and water it can store. Most rely on batteries for power and the water tanks vary in size. If you have say 6 people on board, that can be a lot of toilet flushing and showering. Most marinas and mooring areas will have water and shore power available. Make sure you fill up your water tank and charge those batteries while in port. If you have to use the boat’s power for your computer or other device once the engine is turned off, it’s best to wait until you’re in port and connected to the port’s power supply unless it’s urgent. 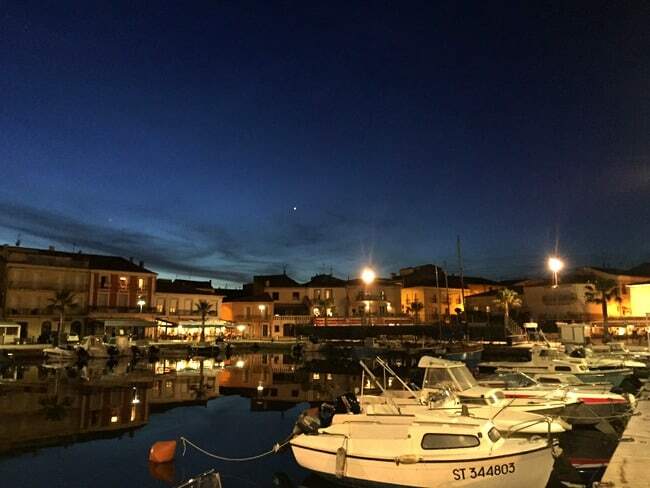 If you are renting a boat for boating holidays in France, the rental company will go over everything in detail prior to your trip departure. Even so, there are things you should do each day to make sure you have minimal problems. Use the boating checklist from the rental company to make sure everything is up to par before departing each day. The most important thing is to enjoy the scenery and all the amenities the boat has to offer. Canal boat hire France is a fabulous way to enjoy time off with your friends and family. 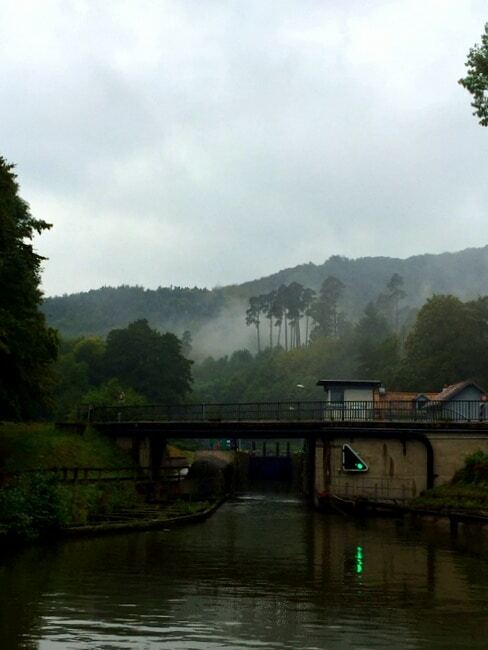 Do you have any boating tips to add for canal trips in France or or barge holidays in France? Canal boat France cruises are super fun boating holidays in France for you and your family. 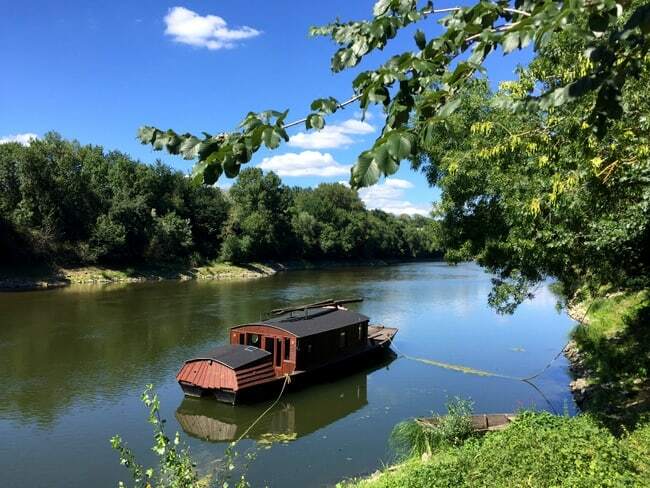 Take a river cruise. 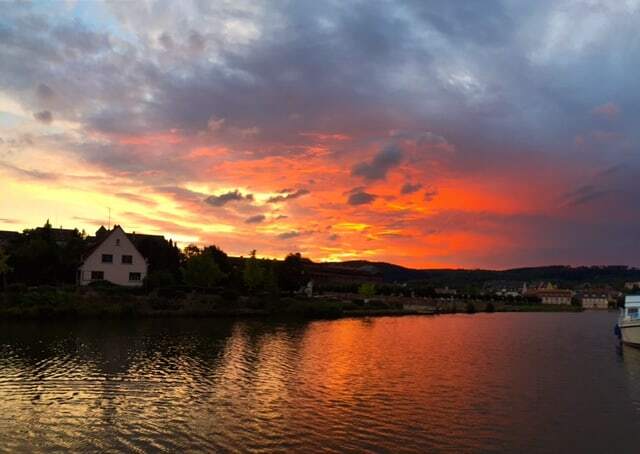 Enjoy the wine, food, villages and leave the boating to the professional crew. I’ve been on two river cruises. 🙂 Totally different experience. I loved all the locks and being an active participant! I can’t recommend the self-drive canal experience enough!